We’re huge fans of a good book here at GYGO, so it’s been fantastic to see the Southbank Centre host a series of events under the Southbank Centre’s London Literature Festival. The festival itself encompasses a range of talks by author’s such as Philip Pullman and Claudia Rankine to Tom Hanks and Hillary Rodham Clinton. It’s fair to say we’re also particularly big fans of Pullmans’ His Dark Material’ books here at GYGO. The trilogy which include the books ‘Northern Lights’, ‘The Subtle Knife’ and ‘The Amber Spyglass’ have amassed legions of fans worldwide. Pullman is also very well known from his other renowned works such as his Sally Lockhart books and his single story books such as ‘The Firework-Maker’s Daughter’ and ‘Spring Heeled Jack’. 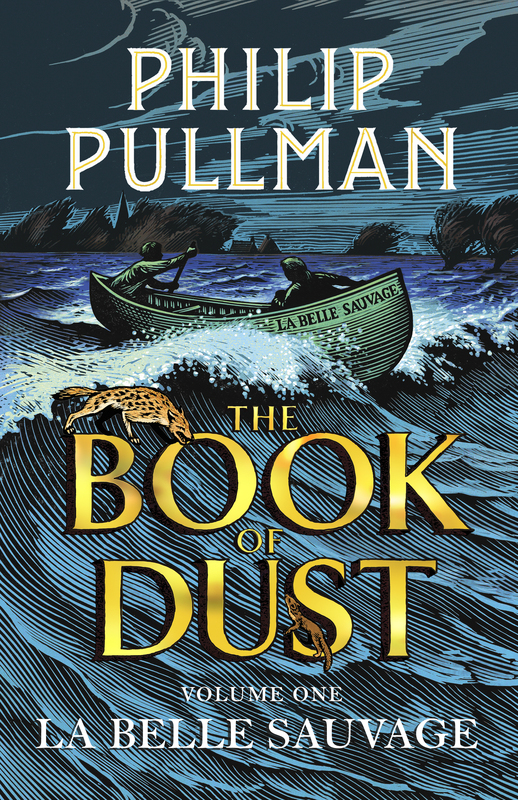 Incredibly now after 22 years since launching the first Northern Lights book, Pullman has released the highly anticipated La Bella Sauvage : The Book of Dust Volume 1. Described by the man himself as an ‘equel’ set 10 years prior to the events of Northern Lights. But this time a darker tale is promised, which ventures deep into the world of daemons, the Magisterium and aletheiometers. It’s also great to find out that award winning musician, author and broadcaster Cerys Matthews is acting as an interviewer for the event. As an accomplished writer and interviewer herself it’s good to know Cerys is taking the reigns for what is sure to be a fantastic event. So evidently when the opportunity arose to cover author Philip Pullman’s live appearance as part of the London Literary Festival at the Royal Festival Hall we couldn’t say no! Making our way through the crowds, its’ evident just how much Philip Pullman is revered as a writer. With so many people having grown up reading the Northern Lights trilogy. The Royal Festival Hall is the perfect place for an event such as this, with such visibility to the stage making it all the more easy to see the interviewer and interviewee. As part of the event Pullman offers some insightful answers to some questions relating about the new book and to his other works. On top of which it’s fantastic to get an insight into his writing practises and a nod to the upcoming TV adaptation of the original trilogy. Not to mention the state of education and politically our world today in comparison with the fantastical creation invented by Pullman. One particular highlight is actually having a couple of scenes read aloud from the new book read aloud by Pullman. It’s an incredible honour to hear the story read by the creator himself. It should be said Cerys Matthews does a fantastic job acting as interviewer, probing some genuinely interesting questions from Pullman, whilst clearly still keeping him at ease. Cerys also does a fantastic job herself reading a well loved extract from The Amber Spyglass, which goes down fantastically with the audience. All in this was a fantastic event and clearly shows there’s a wealth of superb events upcoming at the Southbank Centre. We highly recommend you check out the Southbank Centre’s London Literature Festival and keep your eyes open for upcoming events.